“I believe that we will be acquitted and cleared of all charges, because we haven’t done anything wrong, beyond saving lives in the Mediterranean. We were saving lives of people who would have otherwise died. When we do a rescue, we always make contact with the Greek Coast Guard to inform them and ask for authorization. 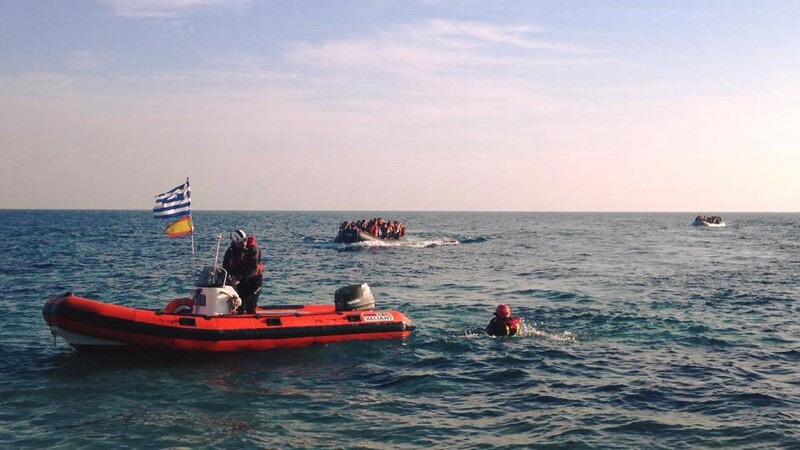 During the time of the volunteers’ arrest, average arrivals to Lesvos exceeded 1000 people everyday. Due to such high arrival rates in 2015 and early 2016, volunteers were crucial in the effort to save the lives of people crossing the Mediterranean on decrepit or flimsy boats that often sank before reaching Greece’s shores. According to the Hellenic Coast Guard, 96 people died and 34 went missing in Greek territorial waters in January 2016 alone. Though many of the 80+ NGOs and thousands of independent volunteers on Lesvos did not register their activities with local authorities, Blanco says that PROEM-AID registered their presence on the island, followed all legal procedures, and secured permission from the Hellenic Coast Guard before every single rescue operation. On January 14, 2016, Blanco and his team responded to an early morning call from Team Humanity, alerting them to a migrant boat in distress. Although they could not find the boat, the team was arrested by the Coast Guard on the way back to shore. 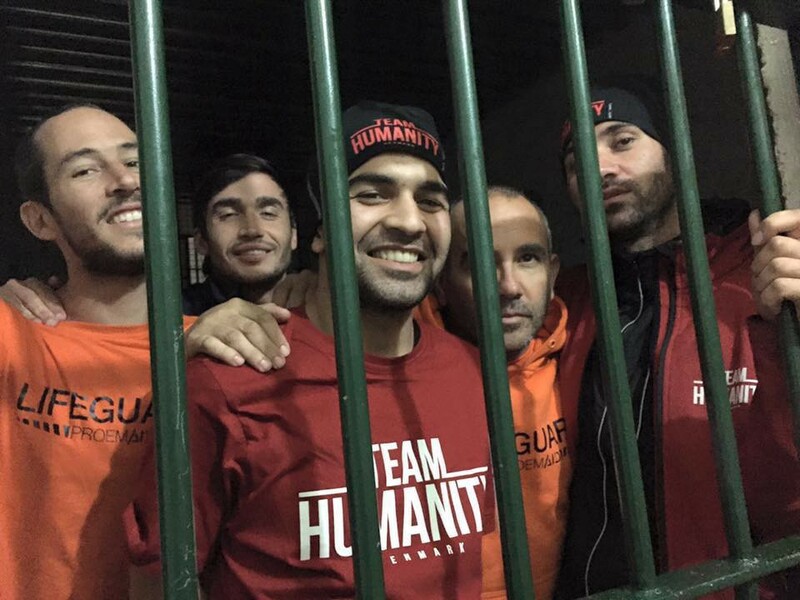 Blanco, along with fellow PROEM-AID firefighters Julio Latorre and José Enrique Rodríguez and Team Humanity Volunteers Mohammed Abbassi and Salam Aldeen, spent 68 hours in a jail cell, unsure of what charges they faced. Blanco and his colleagues were released two days later on 5,000 euro bail bonds, while Team Humanity volunteer Salam Aldeen was held on a 10,000 euro bail without the option to leave Greece. Since his release, Blanco returned to his family and work in Seville, Spain while awaiting his trial. He continues to coordinate PROEM-AID’s rescue work in the Mediterranean (which has so far served an estimated 50,000 people) and to facilitate swimming lessons for refugee children to help them overcome their fear and trauma associated with the sea. While Blanco and his colleagues were acquitted in Monday’s trial, they are persistent in their efforts to ensure that humanitarian aid is not treated as a crime. Theirs is not the only case of volunteers facing legal charges for helping asylum seekers. The week before Blanco and his colleagues’ arrest, seven other volunteers on Lesvos were arrested and accused of stealing discarded life vests from a municipal dump (they were released after explaining their intention to use the vests to create makeshift beds for migrants). In 2017, three British and French volunteers were arrested for distributing food to asylum seekers in Italy, a Danish woman was fined for driving a Syrian family between two towns in Denmark, and French police in Calais have banned all food and water distribution to migrants. As the volunteers awaited trial, they received strong support at home in Spain. 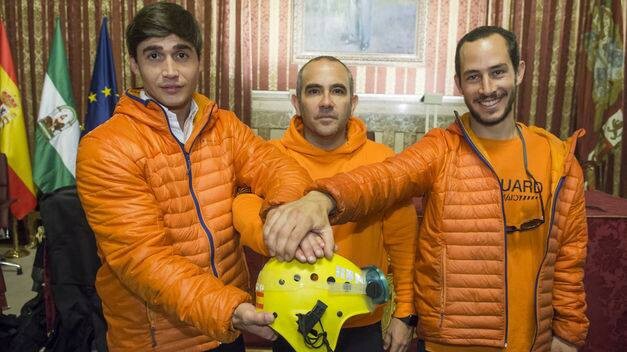 In February, the Seville Provincial Council issued a unanimous statement of support for the firefighters, declaring their “full and absolute conviction in the innocence of the three indicted, [… and] our strongest support and solidarity.” In March, the Parliament of Andalucía also passed a unanimous institutional declaration of support. Last week, the firefighters were awarded the Counsel of Mallorca’s Jaume II prize for their unwavering strength, and the President of the Regional Government of Andalucía reiterated her solidarity with the firefighters before the trial. If you enjoyed this article, feel free to hit that 👏 button to help others find it! Don’t forget to like us on Facebook, follow us on Twitter and Instagram, and subscribe to our YouTube channel. Fulbright Researcher in Athens, Greece studying grassroots activism & solidarity with refugees. AthensLive provides English-language reporting and analysis on the situation in Athens and throughout Greece.